Come and ride some of the most beautiful motorcycle routes in South Africa, accompanied by your personal host and tour guide, Marius Lamprecht. Marius is a retired accountant and die-hard petrol head. 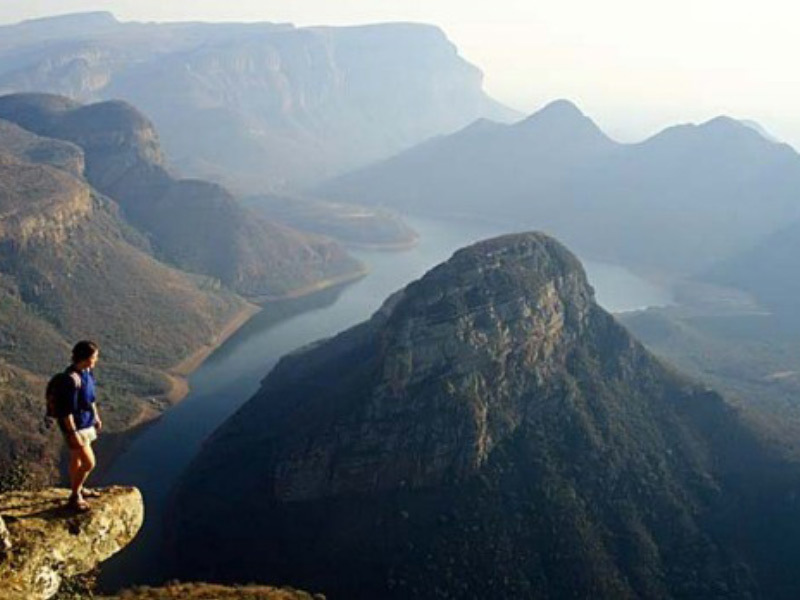 He has clocked up around 150,000 miles on various motorcycles over the past 15 years while exploring South Africa. He would like to share one of his favourite routes with you, covering around 900 miles. Depending on demand, tours run from Monday to Friday during the months of February to May and again from September to November. These are the best times of the year for biking in South Africa. To ensure personal attention, the size of the riding group will be limited to seven bikes including the tour guide. Should a larger group wish to do a tour, a second guide and additional motorcycles can be arranged with sufficient prior notice. 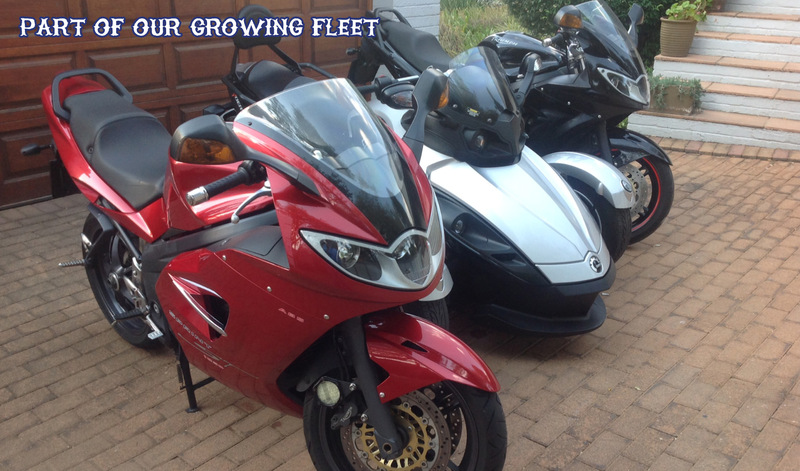 A license allowing you to ride a motorcycle of the specified engine size in South Africa. If you anticipate bringing a pillion rider, the license should allow you to carry a passenger. Sufficient cash to cover meals and drinks that aren’t included (e.g. morning tea, lunches and supper on Monday and Thursday). 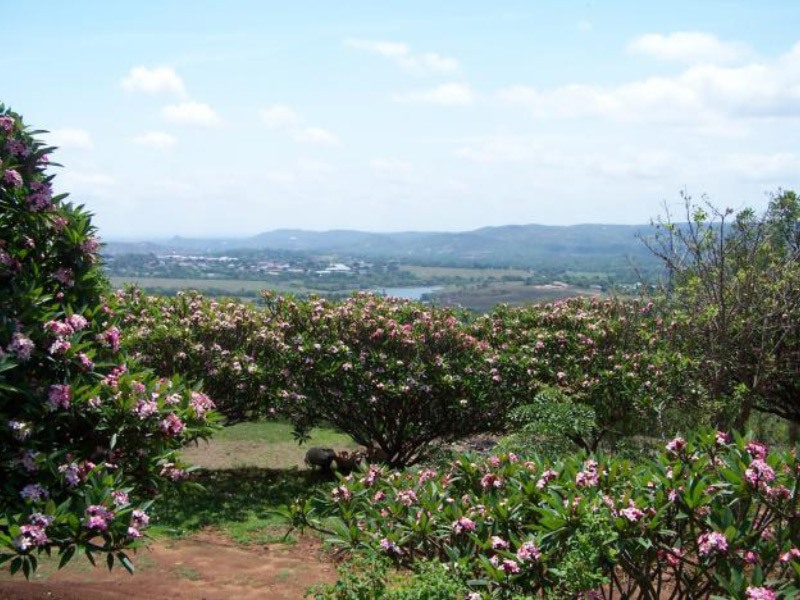 ZAR2,800.00 (approximately US $200.00) per person should be adequate. Medical insurance that will cover hospital costs in the unfortunate event of an emergency. You should arrive at O.R. Tambo International Airport on the Sunday before the 5 day long tour starts. You will be shuttled from the airport to a hotel and spa based in Randburg, where you will spend the evening. After enjoying breakfast at the hotel, you will be taken to the motorcycle pickup point. Once peak morning traffic subsides, we will head towards a little mining town called Cullinan. Diamonds have been mined in this little town for more than 100 years, using open pit methods. 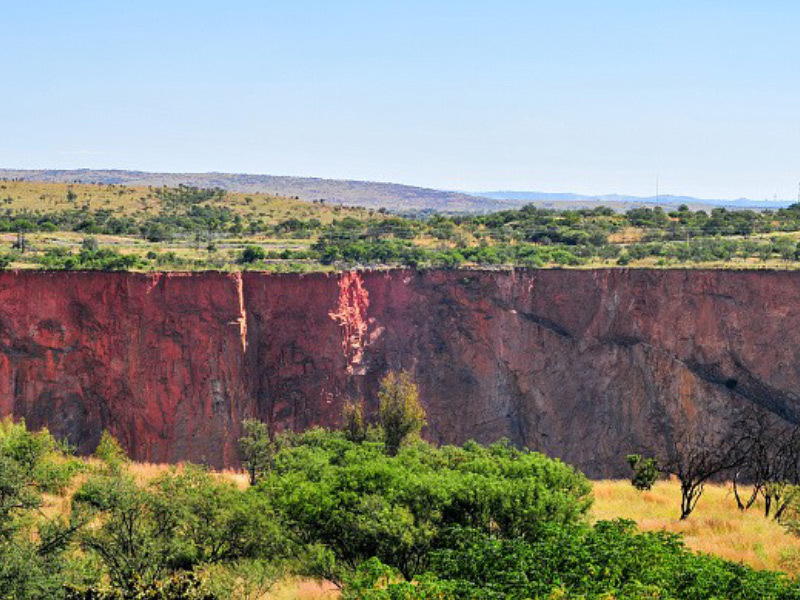 This mine holds the record for the largest diamond ever found in South Africa. We will enjoy a mid-morning snack at one of the many little restaurants in this town. After tea, we will head towards Mpumalanga, past the towns of Witbank and Middelburg, where coal has been mined since the nineteenth century. 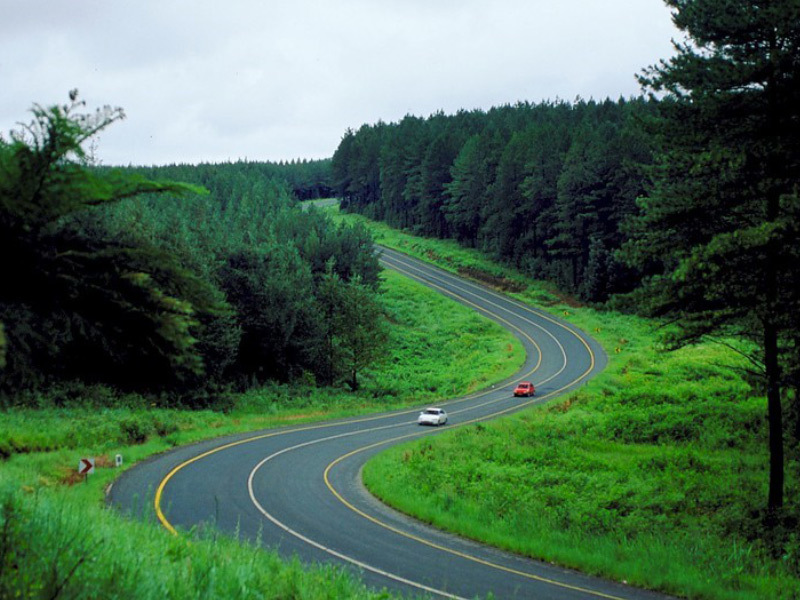 We will arrive at Dullstroom in time for a light lunch and our first sleepover. 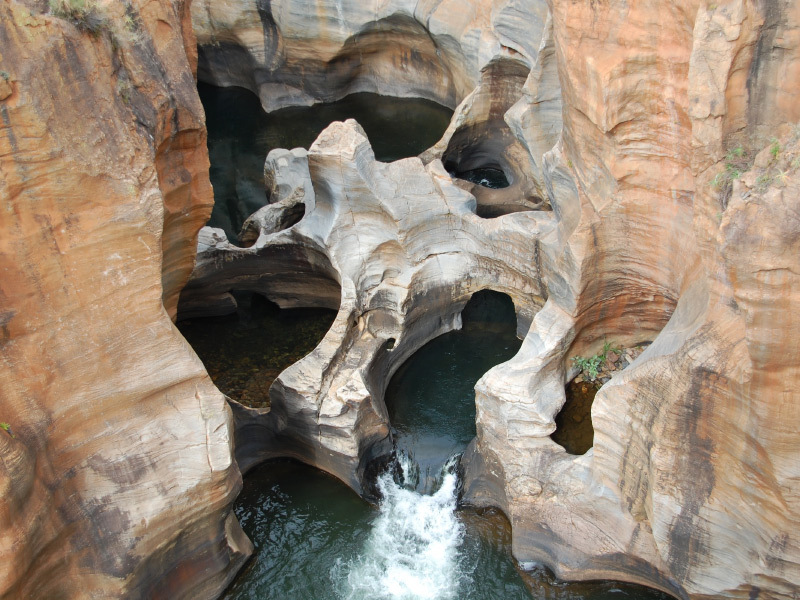 Dullstroom is a very popular tourist destination and is famous for trout fishing. It is also a very popular stop for bikers on breakfast runs. Before supper, we can explore some of the interesting stores in the town. Afterwards we will have dinner at one of many restaurants offering a wide variety of cuisine before hitting the sack. Old mine houses that have been converted to small businesses. The hole that has resulted from mining. 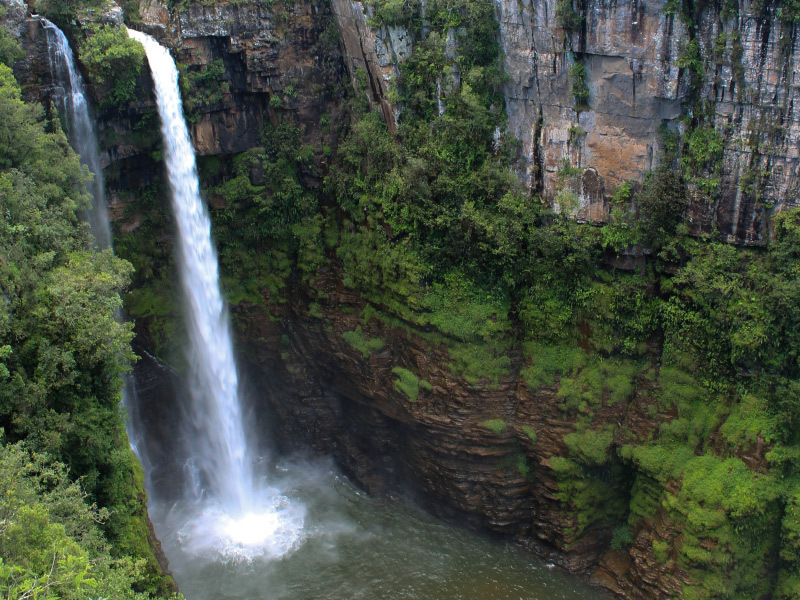 We will cover only about 200 kilometres, allowing sufficient time to make stops at several tourist attractions in the area. 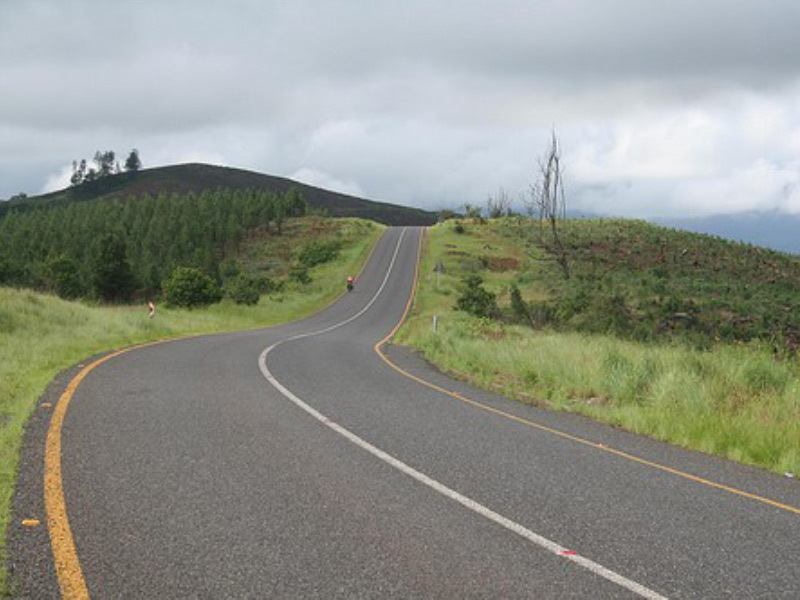 After breakfast, we will ride to Lydenburg en route to Sabie via the Schoemanskloof Pass (one of your tour guide’s favourite rides). 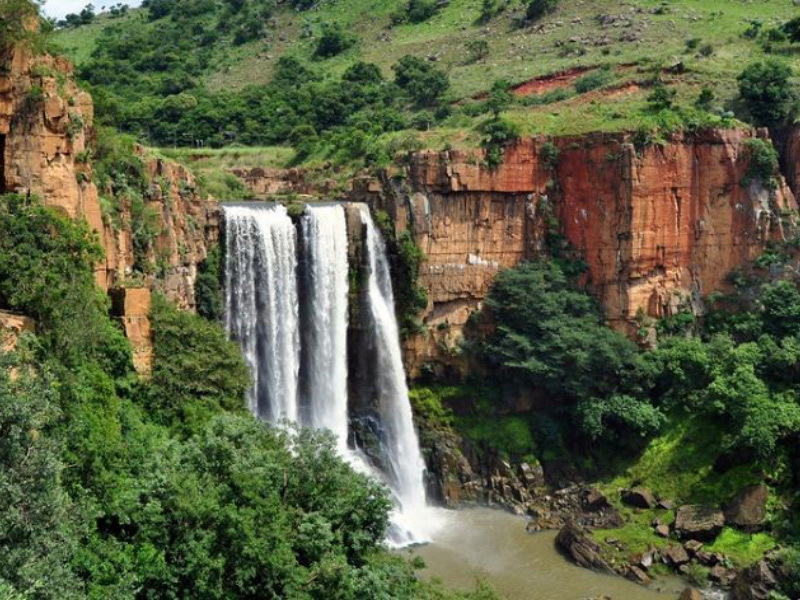 From Sabie, we will ride along some amazing, twisting roads to Graskop and stop at several beautiful waterfalls, Bourkes Luck Potholes and also the God's Window lookout point. 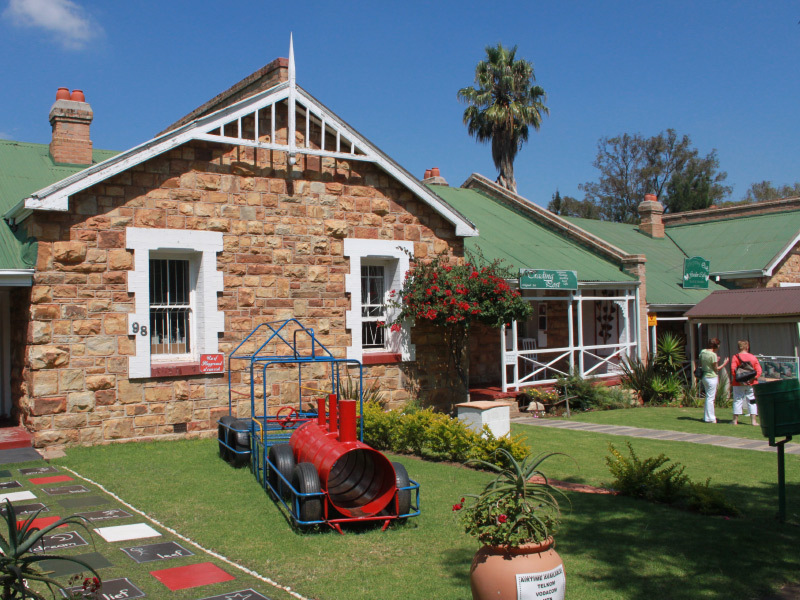 We will enjoy lunch in Graskop and then leave for Hazyview for our second sleepover. 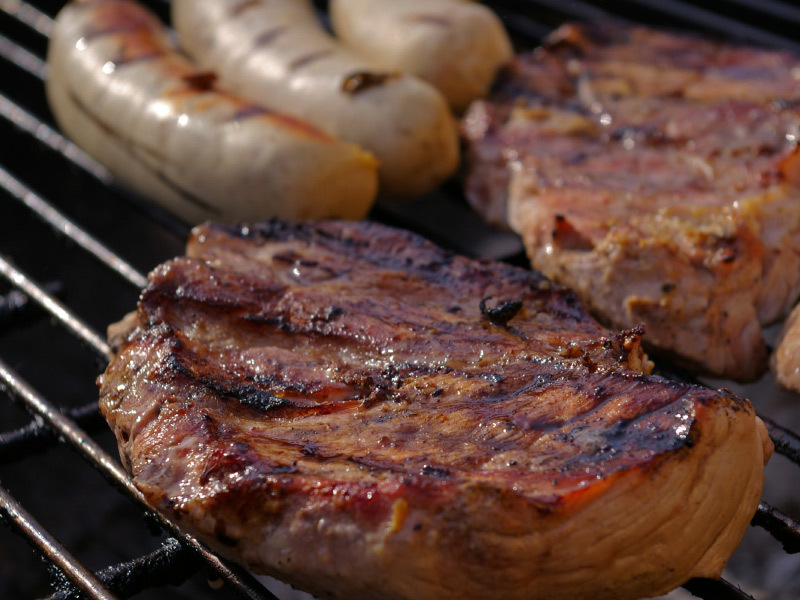 A traditional South African braai (barbeque) will be served by the lodge. 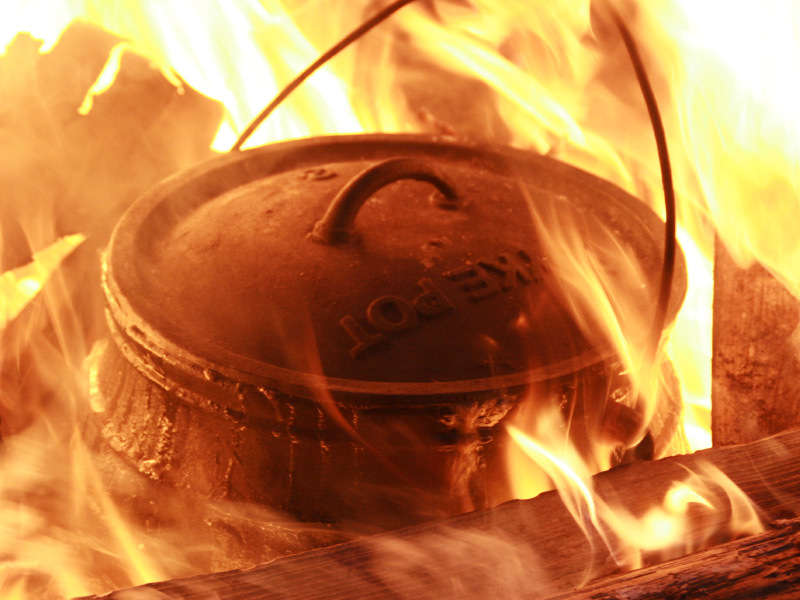 Potjiekos (a traditional South African dish) being cooked over the fire. 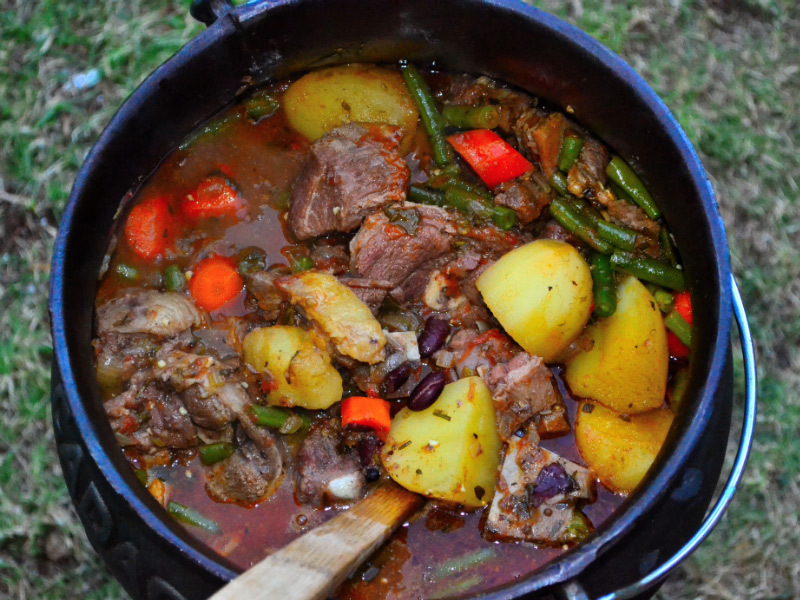 This is what the potjie looks like when it's ready - delicious! An early morning game drive to the Kruger National Park can be arranged for interested guests (cost will be for the guest's own account). 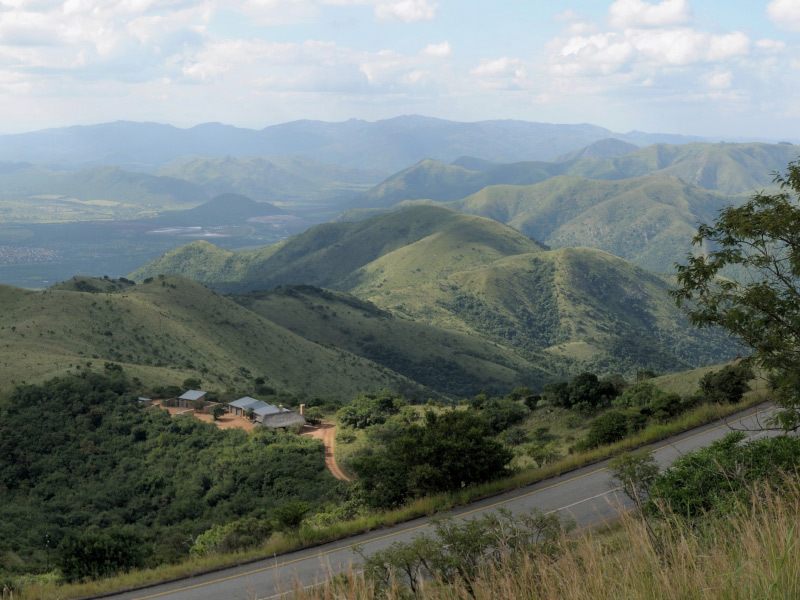 The rest of the group will explore scenic roads in the area, covering about 230 kilometres before heading back to Hazyview for another traditional South African meal at the lodge. 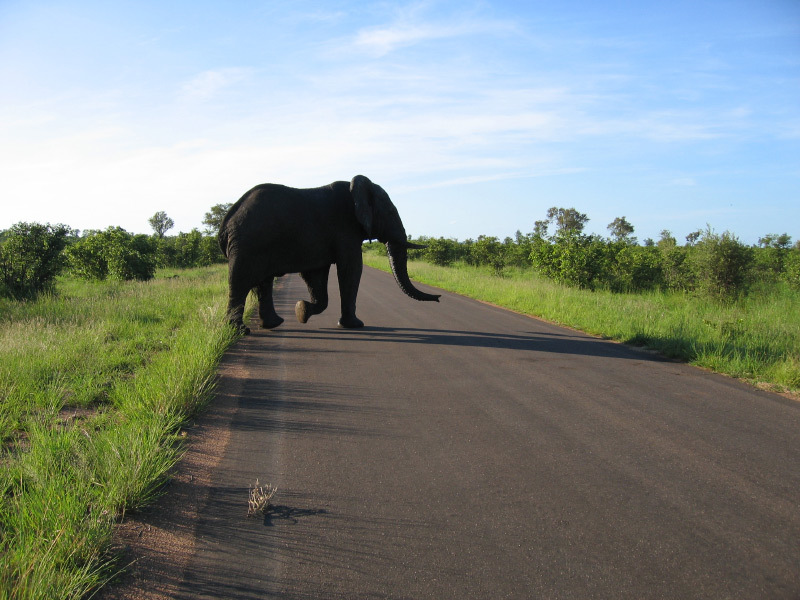 An elephant crossing the road at Kruger National Park. 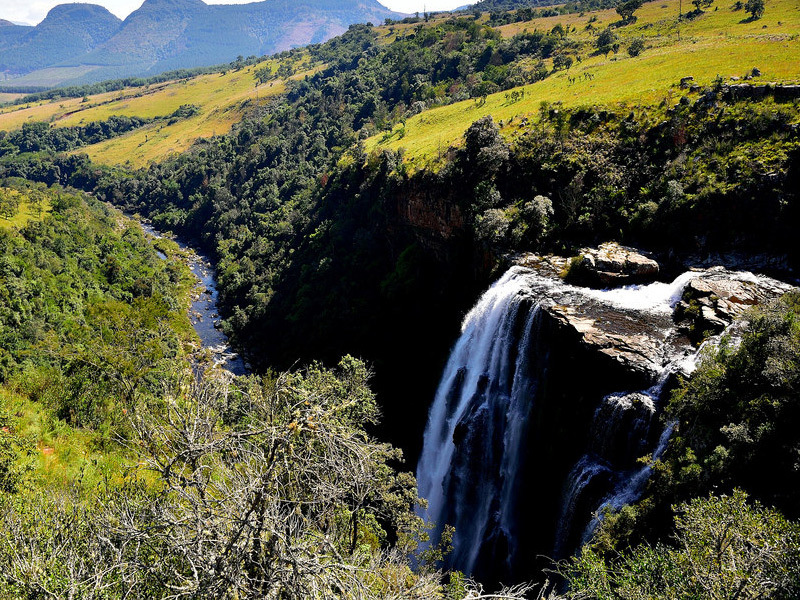 Panoramic view of Hazyview, Mpumalanga. Braai - a traditional South African meal. 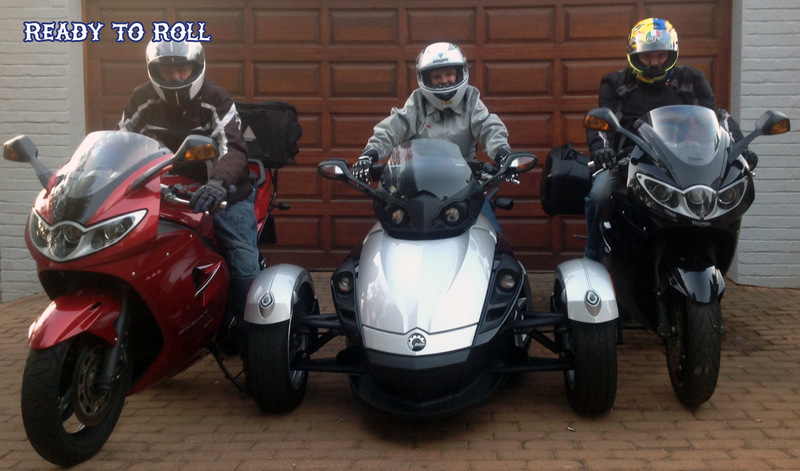 This day's ride covers approximately 185 kilometres from Hazyview to Nelspruit, then to Barberton. 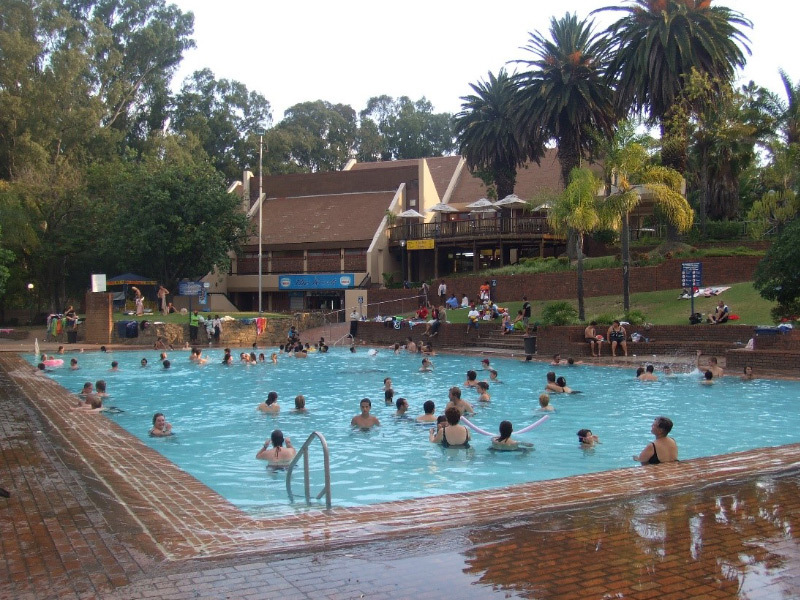 After morning tea, we will head to the world famous hot water springs at Badplaas, where we will spend a relaxing afternoon in the many pools at the resort and enjoy supper at the resort’s restaurant. 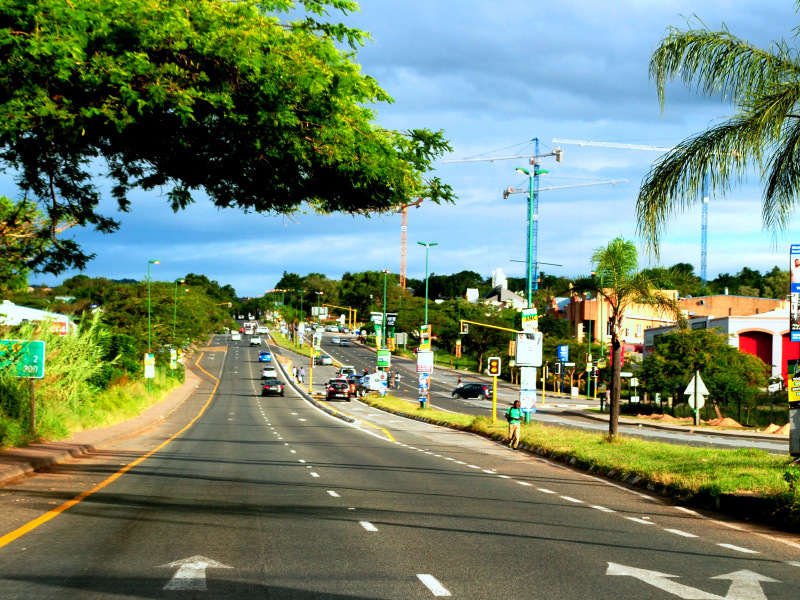 N4 route entering the city of Nelspruit. We will cover around 450 kilometres. After covering about 200 kilometres, we will have morning tea and then head for Deneysville (about 130 kilometres away). 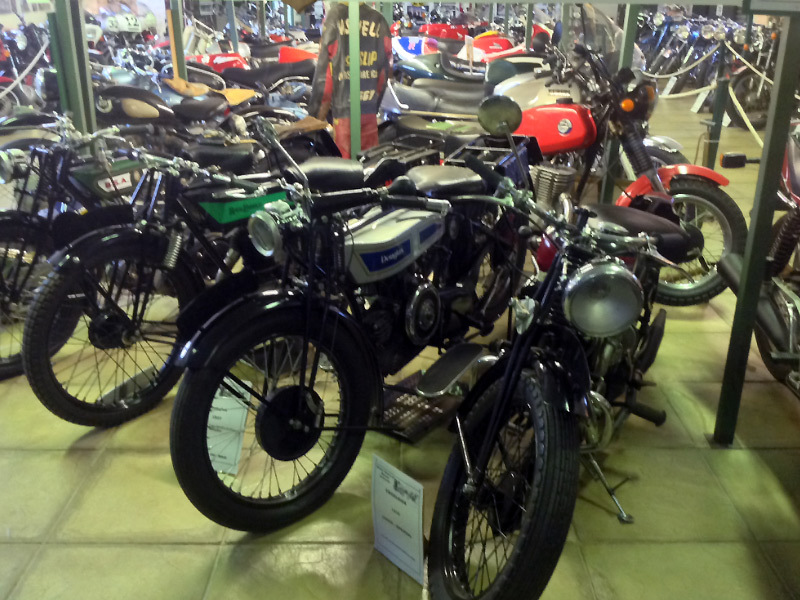 There, we will visit a motorcycle museum with a good selection of vintage motorcycles on display. 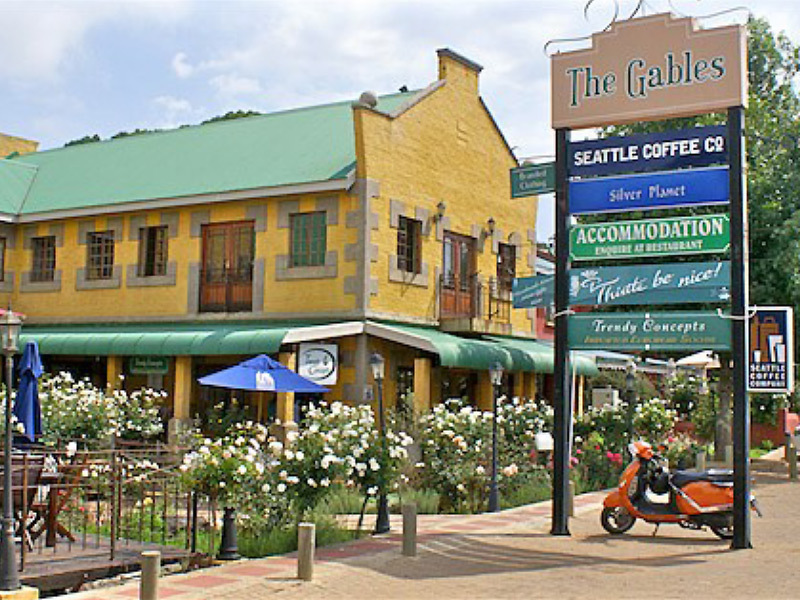 After lunching at one of the local restaurants, we will head back to Johannesburg (120 kilometres away), where you will spend the evening in a hotel in Randburg. 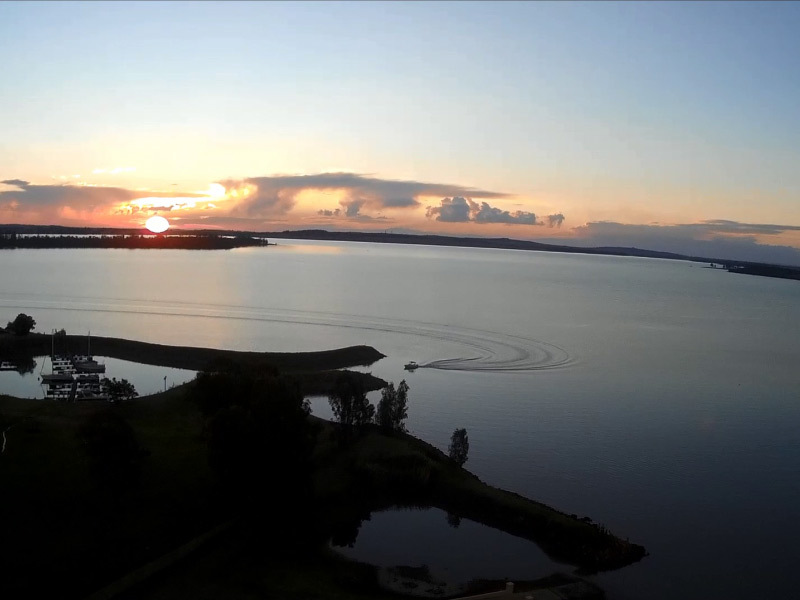 The Vaal Dam, situated in Deneysville. 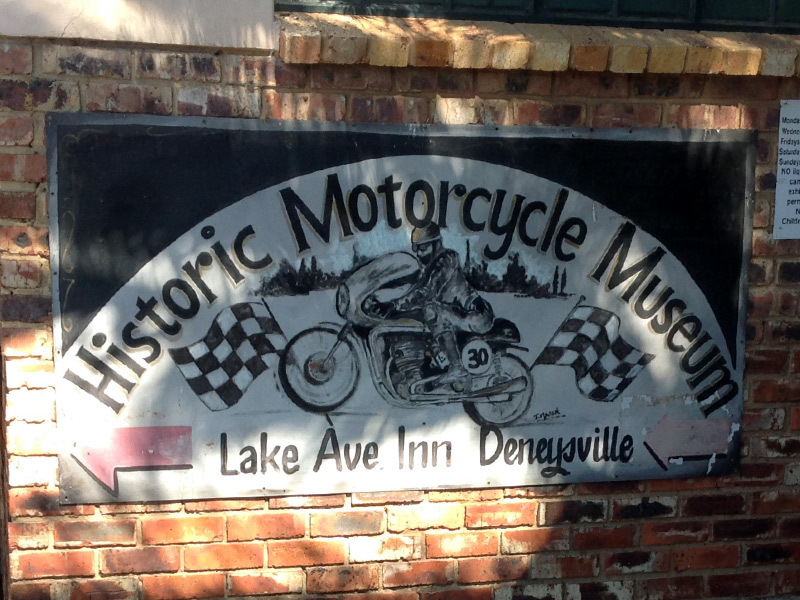 The Historical Motorcycle Museum in Deneysville. Just some of what you'll see at the museum. After breakfast, you will be transported back to O.R. Tambo International Airport, experiencing South Africa’s high-speed train. The cost of the tour will be ZAR21,750.00 (about US $1,550.00 at a ZAR14.00 per US dollar exchange rate). 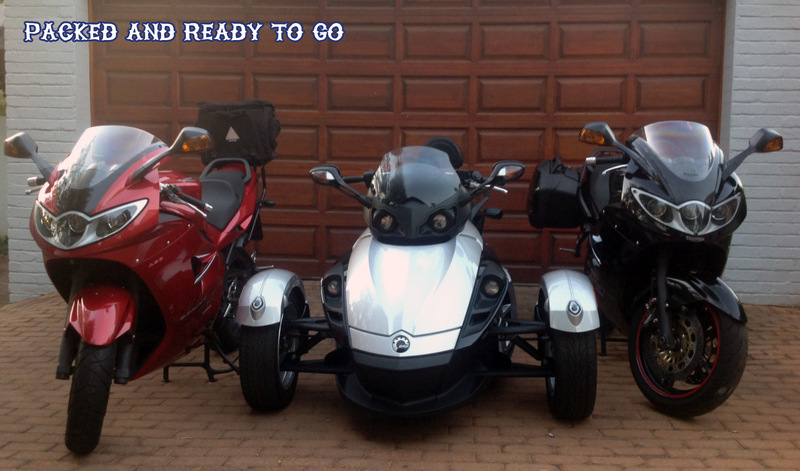 Bring along a partner to pillion for an additional ZAR4,200.00 (approximately US $300.00). Bed and Breakfast accommodation in at least 3 star establishments for the night before, four nights during, and one night after, the tour (Sunday to Friday). The use of riding pants, riding jacket, helmet and gloves. Two evening meals while on tour. Fuel costs and toll fees. Cash for meals and drinks for morning tea, lunches and supper on Monday and Thursday (approximately ZAR2,800.00 [US $200.00] per person). An optional Kruger National Park game drive. Local bikers who are interested in doing the tour on their own motorcycles can join at a cost of R15,000.00 (bring along a partner to pillion for an additional R3,000.00). 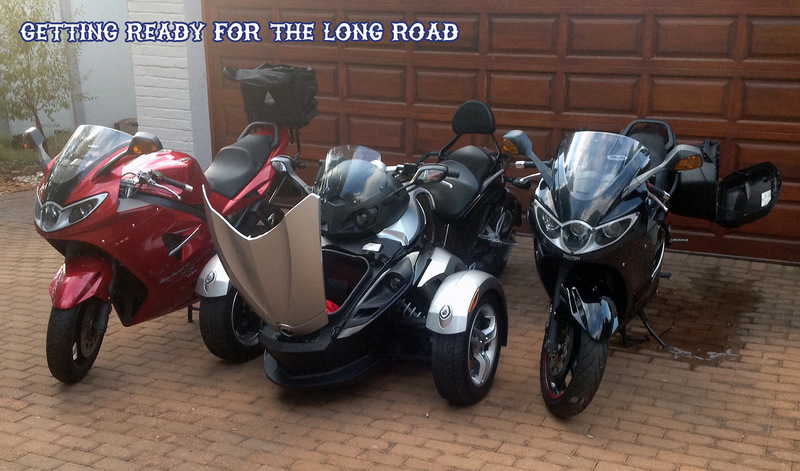 Local bikers can also tour with one of our bikes for R21,750.00 (pillion cost is R4,200.00). Prices include all accommodation, two evening meals, fuel costs and toll fees. Interested in doing the tour? Need more details? Please contact Marius Lamprecht via e-mail or call him: +27 71 400 8695. Alternatively, please fill in the contact form below and Marius will get back to you. Copyright © 2016 - SA Bike Tours. All rights reserved. | Designed by Ilessa Web Design.